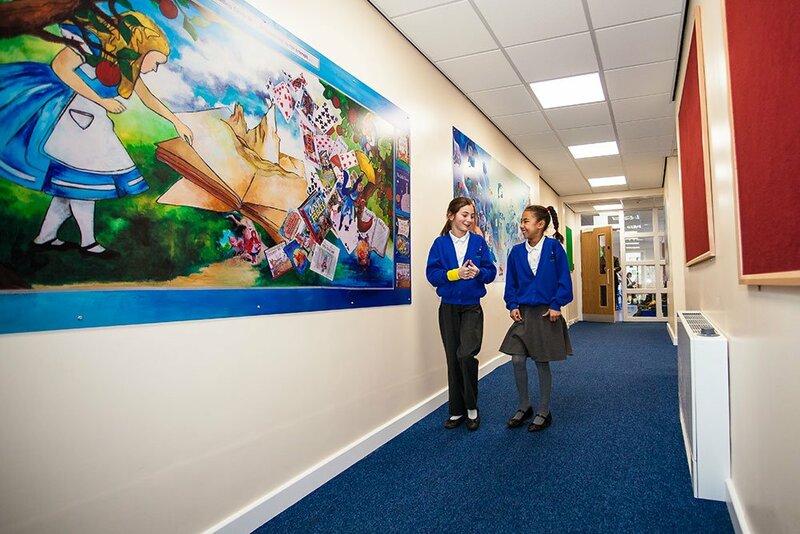 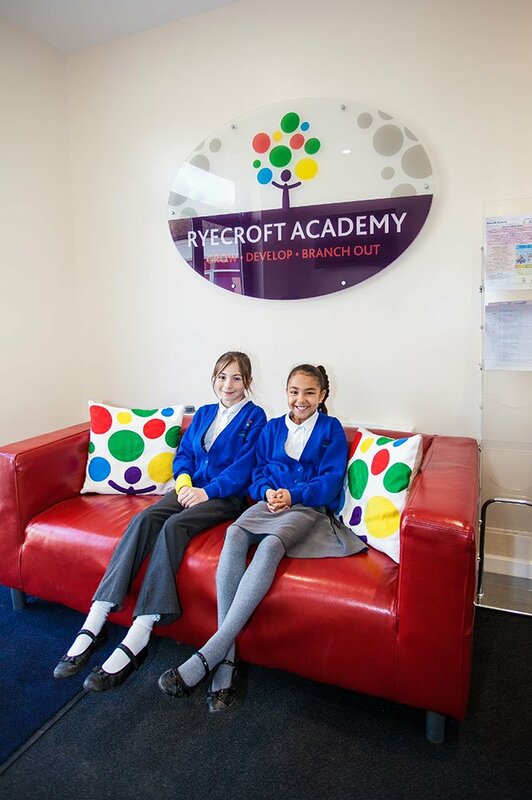 On Monday 21st March Ryecroft Academy opened the doors to it’s fantastic new entrance and office suite. 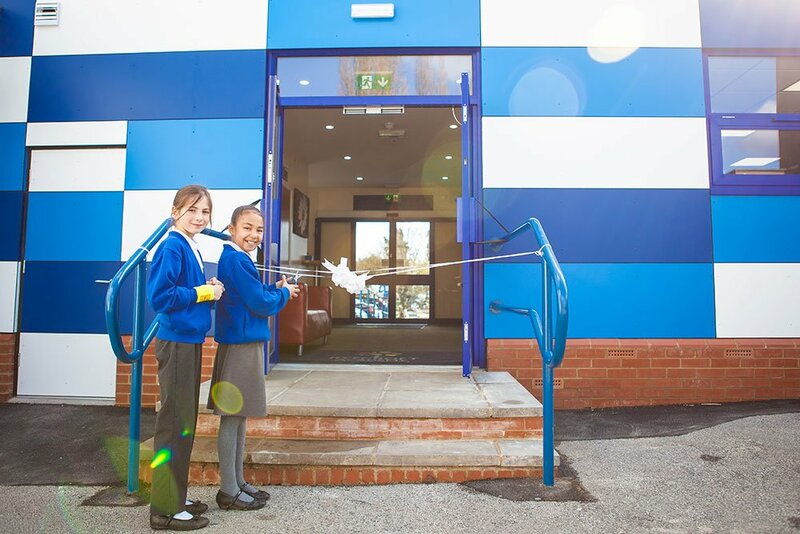 The opening ceremony took place outside and the highlight of this was the ribbon cutting. 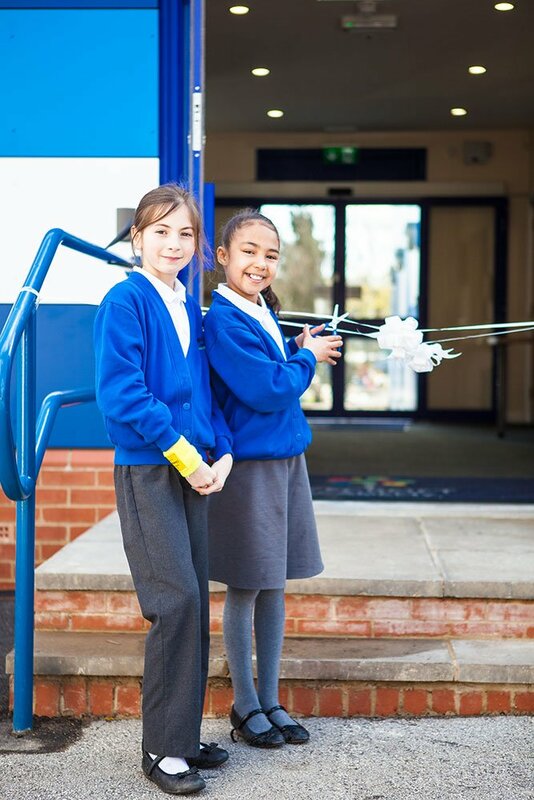 This was performed by two of our shining stars, Aniyah and Lois who have recently represented the school at The Leeds Cross Country Finals where they finished in the top 35, with Aniyah receiving the gold medal for her age group and coming first! 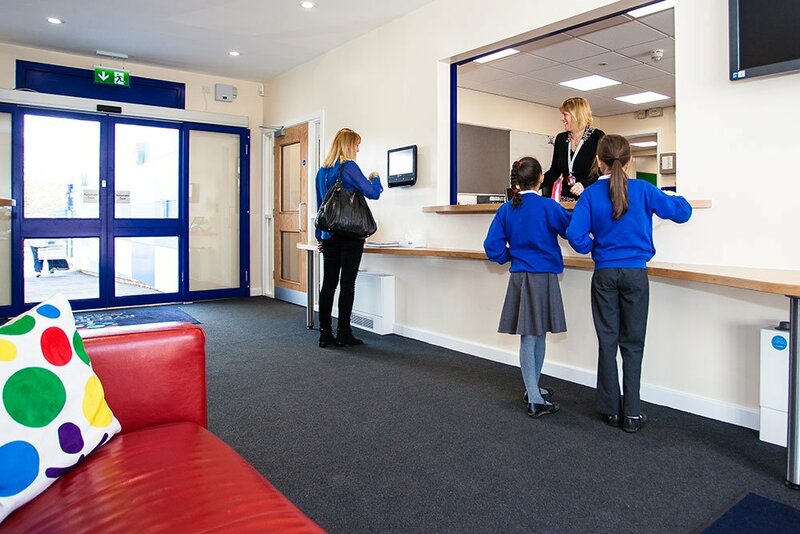 This new entrance is a welcome addition to our growing academy, enabling us to provide a professional greeting to all visitors.